10.4?? Mid North Weight of Loads Group - 1 March 2010 ? Nambucca River Master Plan to be presented to NRE&CMC on 12 Feb 2010.? Recommendation that height be considered in draft Nambucca LEP 2009. Nambucca River Master Plan endorsed. Building heights in Wellington Drive to be considered when draft NLEP 2009 comes to Council at the March 2010 GPC. Legal advice has been sought. Deferred to April 2010 GPC. To be placed on public exhibition for 28 days from 25 March 2010. No response as per 9 March 2010. Workshop being scheduled for 31 March 2010. Mayor should write follow up letter to Minister. That a report come to Council addressing the issues outlined in the public forum with a recommendation on how funding may be raised to construct an amenities block (at Anderson Park) by the end of the year. Report to 1 April Council meeting. That the list of grant programs and their status to 15 March 2010 be received. Interest free loan over 10 years for Nambucca Sewerage Treatment Plant upgrade. There was a query from Council?s insurers as to whether the provisions of Section 398 of the Water Management Act would provide Council with some protection from liability arising out of the unavailability of water.? Council?s solicitor, Norton Rose (formally known as Deacons) has now advised that Section 398 of the Water Management Act does not apply to Council. That the additional advice from Council?s solicitor, Norton Rose, in relation to liability for not proceeding with the IWCM be received. There are no options other than to receive the information. Council has received the attached letter from Norton Rose in response to a query from Council?s insurers.? Council?s insurers suggested that Council may have some immunity from liability in relation to the unavailability of water by virtue of Section 398 of the NSW Water Management Act 2000. A copy of the query from Council?s insurer and the response from Council?s solicitor is attached. Council?s solicitor, Norton Rose, believe that the provisions of Section 398 do not apply to Council for the reasons listed in their advice. Accordingly, the advice from Norton Rose set out in their letter dated 13 October 2009 remains.? This advice is also attached. In essence the advice is that Council as a water utility would be held to owe a duty of care to provide a secured water supply by way of a management plan such as the IWCM; the risk of not doing so is foreseeable harm to third parties; that if Council does not proceed with the IWCM without fully investigating financing options that it is taking a grave risk of being held liable in the future for losses caused to third parties in the Council area. There has been consultation with Council?s insurer and solicitor in relation to the legal risks of not proceeding with the IWCM and in particular the off river storage. The advices have no social impact. The advices have no economic impact. The advices concern the risk to Council with not proceeding with the IWCM and in particular the off river water storage.? According to the advice, if Council does not fully investigate financing options then it is taking a grave risk of being held liable in the future for losses caused to third parties. At this stage there is no impact on Council?s budget. That the proposal to incorporate the town services attendants with the waste section and to split the functional responsibility for the Works Section between the Senior Overseer and the Overseer?s Assistant be the subject of consultation with affected staff and their union representatives and be the subject of a further report to Council. An analysis of this proposal indicates that implementation would be problematic as the two work groups have distinctly different operational responsibilities, are based at different locations, have a different arrangement of hours and are on different grades in Council?s salary system. Workload has also been identified as a potential issue. A more feasible solution and desirable outcome is that town services remain within the Works Section and that the Works section be divided between the Senior Overseer and Overseer?s Assistant (with this position to be retitled Overseer) with both positions reporting directly to the Manager Civil Works. That Council adopt the revised Works Section structure. An analysis of this proposal indicates that implementation would be problematic as the two work groups have distinctly different operational responsibilities are based at different locations, have a different arrangement of hours and are on different grades in Council?s salary system. Workload issues have also been identified as a potential issue. Under the proposed structure, the Senior Overseer?s span of control would be reduced from 30 staff (18 direct reports and 12 indirect reports) to 22 (14 direct reports and 8 indirect reports) and the Assistant Overseer (ie Overseer) would increase from 5 staff to 14 staff (9 direct reports and 5 indirect reports). The following SWOT analysis clearly indicates some of the benefits to be derived. It is anticipated that there will be some difficulties because of the small workforce and limited plant and equipment. However, this can be managed with more careful planning and closer collaboration between the Manager Civil Works, Senior Overseer and Overseer. ?????? Increased management presence amongst operational staff?? Lack of commitment from any or all of the affected staff (ie Manager Civil Works, Senior Overseer and Assistant Overseer) could threaten the success of the new structure. However, the affected employees have indicated they support the changes so the risk is unlikely. There is a risk that competing demands for staff and plant between the two activities could create difficulties. However, this can be largely overcome by better planning and improved communications. The position of Overseer would require a new position description and job evaluation which is subject to consideration by MANEX. Forty one (41) of the recommendations of the Promoting Better Practice Review have been completed or largely completed whilst nine (9) recommendations are incomplete.? Major outstanding recommendations relate to internal audit and asset management.? The draft 2010/11 budget makes provision for funding for an internal audit function. The progress report on the implementation of the Promoting Better Practice Report recommendations be received and referred to the Division of Local Government. There are no real options.? The Division of Local Government has requested advice on the progress of implementing the Promoting Better Practice Report recommendations by 30 April 2010. The Division of Local Government wrote to Council on 3 June 2009 acknowledging the work which had been undertaken to comply with the recommendations of the Promoting Better Practice Report and seeking a further progress report on the implementation of the recommendations no later than 30 April 2010.? In particular the Division seeks advice on progress with the implementation of an internal audit function. An updated status report is attached.? Forty one (41) of the recommendations of the Promoting Better Practice Review have been completed or largely completed whilst nine (9) recommendations are incomplete.? Major outstanding recommendations relate to internal audit and asset management.? The draft 2010/11 budget makes provision for funding for an internal audit function. There has been consultation with senior management. There are no direct implications for the environment. There are no direct social implications. There are no direct economic implications. There are no direct risk implications. There is no direct or indirect impact on current and future budgets.? A provision has been made in the budget for 2010/11 for an internal audit function. 1.?????? Council prepare a 10-20 year Strategic Plan as the overarching document that links the corporate vision, Management Plan, Operational Plan, financial statements and other planning documents. This is a high priority. 1.1.? In 2008, the previous Council reviewed its Vision and Mission and adopted a 20 year strategic management plan. Completed.? But now subject to Integrated Planning & Reporting. 1.?????? 1.2.? Council does not have the software to readily link disparate plans, meaning they can contain conflicting objectives or not be aligned with the Vision & Mission.? Difficult, if not impossible, to link the Actions and KPI?s in the Management Plan with the budget.? Investigation of software and staffing requirements undertaken and beyond Council?s means. Completed.? Not buying new software.?? Lack staff to implement for $70,000 cost. 2.?????? The Vision and Mission Statements should be included in Council policy and other key documents to reinforce among staff and the community the values that the organisation upholds. 2.1? The Vision and Mission statements have been recently reviewed and have been included in all key documents and community publications. 3.?????? In association with the preparation of the Strategic Plan, Council should arrange for a review of the Vision and Mission Statement to ensure that it complements Council?s new strategic focus. 3.1? In 2008 Council reviewed its Vision and Mission Statements.? This review was undertaken following a community satisfaction survey in 2007. 4.?????? Council?s web site should be enhanced by inclusion of key documentation such as financial performance, fundamental management information and meeting minutes for the previous two years, as well as an improved search function. 4.1? Key management reports have been placed on the website.? Council has acquired InfoCouncil software which automatically posts the Council?s minutes.? All minutes for 2008 on website with a search engine. 5.?????? Formal code of conduct training needs to be included in the proposed committee training programs and future councillor induction. 5.1? Code of Conduct training by Fraud Prevention Services as an induction for the new Council undertaken on 10 November 2008. 6.?????? Council should review the effectiveness of its internal reporting policy and the procedures contained within the policy. There is a policy from 1996 ? Internal Disclosures (Confidential) Procedures (doc 23282/2007) which has been reviewed. 7.?????? Council should prepare a Statement of Business Ethics for external parties dealing with Council and outline penalties for breaches of the requirements of this statement. A number of Councils have such statements with their contract documentation.? A policy has been adopted and incorporated in the procurement procedures policy and manual. 8.?????? Council should review the preparation of its Management Plan template to ensure that all legislative requirements are included and that this Plan more effectively translates Council?s ambitions to the community in a more concise, easily referenced document. The provisions of Section 403(2) in relation to environmental protection have been checked.? Much of the background discussion of this recommendation concerns the need to improve the actions and linkages between Council?s strategic planning documents and particularly the management plan and budget.? Template has been reviewed by Council. 9.?????? The key performance indicators in each area of the Management Plan should be included as an element in the Directors? work agreements to demonstrate a quantitative ?results based? reporting of activities under their responsibility. Use of integrated management and reporting software has been investigated but rejected on cost grounds.?? Management Plan KPI?s have been included in Directors? performance agreements. 10.??? Council should conduct a risk assessment across all operational areas to identify the levels of risk exposure that are yet to be addressed. An external contractor has assisted Council staff in a review of risk exposure across the organisation.? The risk assessment has been completed and adopted by Council. 11.??? Council should consider the establishment of an internal audit function that might comprise a shared internal auditor and/or an Internal Audit Committee. Enquiries have been made with other Mid North Coast Councils regarding the possibility of sharing an internal auditor and/or audit committee.? Expressions of interest have been obtained from 3 contractors.? A provision of $35,000 has been made in the draft budget for 2010/11.? Potential to share audit committee members with Bellingen Shire Council. Incomplete but planned to be underway by 1 August 2010. 12.??? Council should prepare a fraud and corruption prevention plan and undertake a fraud risk assessment. 13.??? Council should establish a system for internal reporting of legislative or regulatory non-compliance and fines/penalties/prosecutions against Council. A standard report has been listed for MANEX and the minutes will also be periodically reviewed by the internal auditor. 14.??? Council should review its code of meeting practice and meeting practices generally to minimise the use of ?questions without notice?. Code of meeting practice has been reviewed and ?questions without notice? have been removed from the agenda. 15.??? Council should develop a formal induction program for councillors with core subject content, in preparation for the next local government election in September 2008. This should include training on managing conflicts of interests. 16.??? Council should identify the individual development needs of councillors within a training and development schedule, as well as current attendance at conferences and seminars. Manager Human Resources provided a survey of available training to Councillors at their induction. 17.??? Council should develop a formal policy and procedures for the purchasing of goods and services and disposal of assets. A policy and procedures manual has been adopted. 18.??? Council should include in its policy procedures to deal with complaints from third parties concerning procurement and disposal of assets. Has been addressed as part of 17. 19.??? As a general risk assessment protocol, Council should regularly review and analyse potential risk exposure within Council?s procurement and disposal practices to minimise potential corrupt conduct and financial loss through non-compliance. Undertaken as part of risk assessment in recommendations 10 & 12.? Will also be referred to internal auditor. 20.??? Council should review its policy made under section 252 of the Act to ensure that it complies with the Guidelines for the payment of expenses and the provision of facilities for Mayors and Councillors for Local Councils in NSW, issued by the Department in May 2007. The policy has been reviewed and was reported to Council?s meeting on 2 October 2008. 21.??? Council should produce a comprehensive set of records management procedures or guidelines to assist staff in complying with the requirements of the State Records Act. A records management policy and plan was adopted by Council on 19 February 2009. 22.??? Delegations should be reviewed at least every two years or whenever a change in the responsibility of a council officer or committee member requires such a change. Staff delegations are being reviewed annually as part of the performance review process for staff.? Delegations for Section 355 Committees of Management have also been reviewed. 23.??? Council should develop an audit program to examine the exercise of delegations on a regular basis. Expenditure delegations are already the subject of external audit.? Audit program for other delegations to be referred to internal auditor. Incomplete.? To be considered as part of internal audit program. 24.??? Council should develop a complaints policy and procedure to define a complaint and specify processes for dealing with them. Council has acquired the ?Merit? customer request management system.? Policy developed. 25.??? Council should provide staff with training on complaint handling. 26.??? Council should prioritise the development and adoption of an Information and Communication Technology Strategic Plan. Information Technology Strategic Plan prepared and adopted by Council. 27.??? Council should review the General Manager?s performance management process to ensure it is consistent with the Performance Management Guidelines for General Managers. This has been reported to Council?s meeting on 2/10/08 in relation to the appointment of Committees.? Performance monitored by a Committee in accordance with performance management guidelines. 28.??? Council should encourage greater involvement from community groups who may contribute environmental data that could be incorporated effectively into State of the Environment reports. The Supplementary State of Environment Report is now advertised for information and public comment. 29.??? Council should ensure that it is provided with a detailed and accurate account of section 94 contributions to demonstrate that the fund is compliant. There has been an increased commitment to the review & accounting of Section 94 plans through the employment of a Section 94 officer with Bellingen & Kempsey.? Responsibility in Council has also been transferred to finance.? Whilst the KPI is on-going, there is a program in place for the review of plans. 30.??? Council should prepare a formal enforcement and prosecution policy. Council adopted a Compliance, Enforcement and Prosecution Policy at its meeting on 1/4/2009. 31.??? Council should finalise risk-based strategies for reporting non-compliance with environmental standards and unauthorised development. 32.??? Council should inform the community on the provision of assistance in identifying areas of non-compliance with environmental standards and unauthorised development. The report notes that Council does not provide information to the community on mechanisms to report suspected non-compliance and unauthorised development.? Consideration will need to be given to a marketing campaign and complaints reporting system to achieve this. Incomplete.? Web based reporting system being considered. 33.??? Council could consider the possibility of upgrading the pound facilities or alternatively utilise the services of an animal welfare organisation. Council has undertaken a program to upgrade the pound. Stages 1 & 2 of pound upgrade completed.? Final stage in 2010/11 budget. 34.??? Council should develop a Companion Animals Management Plan, as required under the regulation. Plan completed and adopted by Council. 35.??? Council should address deficiencies identified in the Environmental Management Systems study of the Council depot at Macksville to initiate action to overcome potential pollution risks from the site. There has been a programmed upgrade of the Council depot in response to the study.? Roof being provided over wash down bay in 2009/10 financial year, oil separator being installed.? Fuel tanks no longer used. Completed or programmed for completion.? Fuel tanks decommissioned.? Covered wash down bay and oil separator in 2009/10 budget. 36.??? On completion of the Asset Management Plan, Council should continually review its long-term financial plan with more accurate infrastructure life cycle costs and link it with the development of the new Strategic Plan. Incomplete.? Position of Asset Manager created and appointee commenced in January 2010. 37.??? Council should accelerate action to purchase asset management system software and provide increased staff resources and training in the software system to facilitate the data collection completion and implementation of this system. Asset management software has been reviewed by staff.?? Following completion of valuation of remaining assets by 30/06/10, Council?s Asset Manager proposes to review the available software.? At this stage no provision has been made for funding in 2010/11. 38.??? Council should complete plans of management for all community land that it owns or is under its care and control. Land register needs to identify community land which does not have a plan of management as the first step. Engineering Services - Director Engineering Services with assistance from Property Officer and GIS officer. 39.??? Council should deposit income from its Crown reserves that are under its care and control into a trust fund. Advice received from the Dept. of Lands at Grafton is that they will not support an ?umbrella trust?.? Unable to progress the matter any further. 40.??? Council should prepare formal business plans for its major businesses. Development plans prepared for the pool complex; saleyards and land development activities. 41.??? Council should develop strategies to deal with the impact of its ageing population on its services and infrastructure needs. Proposed to build on work undertaken in other Councils.? Will need to link with other government agencies, particularly the Dept. of Ageing, Disability and Home Care and the Community Services Committee. Underway but incomplete.? Manager has met with agency reps.? Regional approach being considered. 42.??? Council should prepare a guarantee of service to assist it in meeting its obligations to the community and establish a clear set of service standards and benchmarks against which its performance can be measured. Council has implemented Merit customer request software but does not have service standards by request type.? There is an escalation provision but no set of service standards by request type.? Council receives about 1,700 requests a year over 54 different categories.? Council will likely lack staff resources to meet defined service standards. Incomplete.? Merit now implemented and service standards to be refined. 43.??? The review of the Nambucca Economic Development Plan would be further strengthened by indicating the period for which it is developed and to better define future outcomes, as well as specific measurable outcomes for achievement of its defined strategies. The Nambucca Economic Development Plan has been updated. 44.??? Council should evaluate its current workforce and determine strategies to deal with an ageing workforce. Strategies developed and adopted by Council in December 2009. 45.??? Council should develop a long-term workforce plan that is designed to ensure that Council?s human resources needs are integrated into Council?s strategic and operational priorities. Workforce plan has been developed and adopted by Council in December 2009. 46.??? Council should complete a human resources strategy to give direction to the human resources function. Human resources strategy was completed in May 2009. 47.??? Council should review all human resources policies and procedures at least every three years or when legislative or other changes demand. 48.??? Council should extend the comprehensive training plan developed for the outdoor staff across the whole organisation. 49.??? Council should review the current grievance policy and ensure that it has a process in place to monitor grievance notifications. Grievance policy reviewed in March 2009. 50.??? Council should consider an employee attitude survey to help determine the key workforce issues that impact on the organisation. 51.??? Council should review its secondary employment application form to request more detail from applicants regarding potential conflict of interest and include comments from the General Manager for reasons for his decision. The report acknowledges the annual general meeting of the Valla Beach and Urban Hall Committee of Management, which was held on Wednesday 17 February 2010, and the new Committee. That Council endorse the minutes of the Annual General Meeting of the Valla Beach and Urban Hall Committee of Management which was held on 17 February 2010 and thank the outgoing Committee for their work in the past twelve months. The AGM of the Valla Beach Urban and Hall Committee of Management was held on 17 February 2010. The Valla Beach and Urban Hall provides a social facility for residents and visitors including regular community Markets. The report acknowledges the Annual General Meeting of the Nambucca Valley Netball Association Committee of Management, which was held on Sunday 3 November 2009, and the newly elected Committee. That Council endorse the minutes of the Annual General Meeting of the Nambucca Valley Netball Association Committee of Management which was held on 3 November 2009 including the financial statement and thank the outgoing Committee for their work in the past twelve months. The Nambucca Valley Netball Association provides both social and sporting opportunities and facility for adults and children of the Valley and visiting teams. The report acknowledges the Minutes of the Annual General Meeting of the Scotts Head Tennis Club Committee of Management which was held on Wednesday 17 March 2010, and the newly elected Committee.? The Committee also provided its Financial Statement for the year ended 28 February 2010.? Copies of the Minutes and the Financial Statement are attached. That Council endorse the Minutes of the Annual General Meeting of the Scotts Head Tennis Club Committee of Management which was held on 17 March 2010 including the financial statement and thank the outgoing Committee for their work in the past twelve months. The Club?s Annual general Meeting was postponed from 10 to 17 March 2010 and to date no report has been provided for Council?s consideration. A local resident, Mr Bob Phipps, who is also an enthusiastic member of the CMCA, is seeking Council?s support for the use of the Macksville Showground by self contained vehicles who may wish to overnight or make short term stays.? He also proposes that a sewage dump point be provided at the Showground which would allow self contained vehicles to empty their grey and black water and take on potable water.? The expectation is that the camping fee for self contained vehicles would be minimal, sufficient to cover out of pocket expenses in relation to the removal of solid waste, the provision of water and maintenance of the dump point. In terms of using the Macksville showground for overnight or short term stays by RVs, it is a matter for the Showground Committee of Management which is responsible for maintaining the showground and managing its day to day operations.? They would have to manage this camping and the collection of any camping fees.? There would be additional costs, eg insurance, solid waste disposal, and water which would need to be considered in setting a camping fee.? If the Committee is agreeable to a camping arrangement then a dump point could be provided. Council has insufficient staffing of its own to manage camping at the Showground. That Council seek the views of the Macksville Showground Committee of Management to the establishment of limited term camping for ?self contained? recreational vehicles at the Macksville Showground and also to the installation of a sewage ?dump point? for use by recreational vehicles. There are limited options.? Council relies on the Showground Committee of Management to operate the facility.? Council has insufficient staffing of its own to manage camping at the Showground. According to figures supplied by the Campervan and Motorhome Club of Australia (CMCA) there are 330,000 campervans, caravans and motorhomes registered in Australia, with 70,000-80,000 on the road at any one time with their occupants spending an average of $500 per week. Most people will be aware of the dramatic changes in the self contained motor home or recreational vehicle market over the past 10 years whereby the self contained RV, whether towed or self-propelled is now common place.? These vehicles invariably contain a toilet, shower, water tanks, fridge, solar panels and/or generator, computers, GPS and air conditioning.? When they visit an area, the only extra services they require are a dump point, a water tap, and somewhere to dispose of rubbish.? The benefit to the local community is the additional spend provided by short term stays. From discussion with some members of the CMCA and also their dump point promotion, it would seem they prefer to avoid the tariffs at local caravan parks for the reason they are largely self contained.? An enquiry made with a local caravan park indicates they have 26 sites which are suitable for self contained motorhomes, with tariffs ranging from $30 per night in the off season to $45 per night in the Christmas peak period. The CMCA has a dump point subsidy scheme whereby they will supply dump point installations to Councils at no cost subject to the Council installing the dump point as a free public facility that is available for use at least during normal daylight hours every day. ?In regard to the outstanding growth of the number of Recreational Vehicle numbers, with a reported 80,000 vehicles on the road at any one time, I would like to request that Council takes whatever steps are thought necessary to make such travellers more than welcome in our Shire. In particular I would welcome participation in the CMCA (Campervan and Motorhome Club of Australia) RV FRIENDLY TOWN scheme with its relevant signage and associated publicity to its current membership of over 56,000. In October the Macksville showground is the site for over 250 vans from the Solos? Network of the CMCA, and also in October, Port Macquarie is hosting a National Rally which will be limited to 1,000 vans. Many of these travellers will be passing through the Nambucca Valley at this time, and could be encouraged to stay for at least several days. With these sort of numbers arriving, it would be great to have the scheme well in operation before then. As previously advised, the CMCA will provide dump points, which the Council may install at suitable locations, such as the Macksville showground. We urge Nambucca Shire to do whatever possible to encourage the CMCA to declare Macksville and Nambucca Heads to be RV Friendly Towns. In terms of using the Macksville showground for overnight or short term stays by RVs, it is a matter for the Showground Committee of Management which is responsible for maintaining the showground and managing its day to day operations.? They would have to manage this camping.? There would be additional costs, eg insurance, solid waste disposal, and water which would need to be considered in setting a camping fee.? If the Committee is agreeable to a camping arrangement then a dump point could be provided. The Showground is operational land and the creation of an overnight or short term camping area would require development consent. There has been consultation with one member of the executive of the Showground Committee of Management, a local caravan park proprietor, members of the Solos group and Mr Phipps. The CMCA believes there are considerable economic benefits to local communities in becoming an RV friendly town. The dump point provides a direct connection to Council?s sewer.? The opportunity would exist for trade waste to be illegally dumped by an unscrupulous contractor.? For this reason it is desirable that there either be passive surveillance of the dump point, for example by campers in a camping ground, or alternatively that it be locked at night. ?- Circularised - Letters from business houses. AUTHOR/ENQUIRIES:???? Colleen Henry, Community Safety Project Officer ???????? Council is eligible to apply for funding from the New South Wales Attorney General's Crime Prevention program under its endorsed Crime Prevention Plan and Safer Community Compact. The current funding round closes on 6 April and a grant application has been developed which would employ a part-time project officer to implement the $50,000 crime prevention program. The proposed program is based on the same Crime Prevention Through Environmental Design (CPTED) practices employed in the Safer Women Around Nambucca Shire (SWANS) program, however the focus of the crime prevention audits in the new program would be Nambucca Shire Council's public infrastructure such as car parks, ovals, recreation centres and halls. ?????????????? advise Council that if successful, the grant would employ a part-time person for the one-year project. That Council endorse the project details and approve the submission of the grant application for $50,000 to the NSW Attorney General's Crime Prevention Program. The Council could choose not to approve the submission of the grant application. Although not due for completion until June 2010, the Safer Women Around Nambucca Shire project has shown the practical benefits of applying safer by design principles to the public environment. As a result, Council staff have identified an opportunity to improve safety and lower the risk of crime around Council's own infrastructure by using the same approach. Council is already taking a number of measures to minimise risk, however by purposefully conducting CPTED audits, Council will have a more well rounded and proactive management of its assets. The CPTED audits would also provide supporting evidence for funding requests for capital works under various State and Federal grants, for example the lighting of the boardwalk along the river at Nelson Street, Nambucca Heads. It is proposed that a part-time project officer would be employed to implement the project as soon as the grant has been approved. The project will be managed by the Manager Community and Cultural Services and will run for one year. Information will be gathered from Council records to identify sites, and to compile a list of potential crime prevention audit requirements. Community consultation will be conducted to gather anecdotal information on any problem areas, as the use of these facilities or spaces is usually by community groups. This consultation will also raise public awareness of the program and of the crime prevention principles that could be applied to residential spaces, and would be done in conjuction with a media campaign targeting local newspapers and radio announcing the launch of the project. The use of Police and Council records will identify priority sites, and a second round of consultation will be conducted with residents and businesses nearest these facilities to identify additional issues, and "extend" information on CPTED, or designing out crime to them. It is likely that brochures and signage with crime prevention messages will be required at specific "hotspots" and the grant application makes provision for this. The majority of the project's time would be spent on the conduct of safety audits. Following the completion of the audits, individual reports would be developed on each of the sites. These reports would inform the Council's operations and planning divisions and guide future work requirements. The information would also be used in any management plans for particular areas. For example, the Council is currently considering the redevelopment of the Nambucca River Foreshore at Macksville. A stream of the management planning process for that space could include the CPTED audit which would be made possible via this project. The intended outcomes of the project are many-fold. There will be an increased awareness of CPTED and the need for crime prevention in the wider community, as the facilities that the Shire Council is responsible for are all community-based. The information gathered will inform Council's decision making processes related to the management of its resources, and there will be less opportunity for crime as the recommendations of the audits are implemented through Council. The $50,000 grant would pay all costs associated with the project apart from in-kind support from the Council's Departments of Engineering Services and Environment and Planning in the identification of sites. The grant application also requests funding to put in place small-scale capital works, such as signage, which would be identified and recommended through the audit process. Greater awareness of how to avoid crime in potential hotspots will improve people's well-being by reducing the opportunity for crime. The reduction of crime through the audits and the resulting implementation of recommendations will benefit the social fabric of the Shire by making people feel safer. One of the aims of the crime prevention audits is to reduce the malicious damage to property. As the recommendations are implemented, there should be cost-savings to Council. The CPTED audits may result in recommended work around Council?s properties. It is expected that some of this work would be funded by annual maintenance budgets or the forward program of works, depending on the exact nature of the work required. If larger scale work was identified, this may require a specific new budget allocation and this would be assessed alongside requests for Council for funding, or could be the subject of a future grant application. As noted above, the grant application has requested funding to put in place small scale capital works that come from the audit recommendations, and if successful, this would benefit Council's future budgets. The Nambucca Valley Conservation Association (NVCA) commenced a Class 4 action against Council in regard to its determination of DA 2004/136 for a rural residential subdivision (Lot 2 DP 548175, 346 East West Road Valla).? 5??????? The amended development application to which consent was eventually granted was not advertised as required by statute. 3????????? I uphold grounds 3 and 5, do not accept the other grounds and propose to grant relief. 1??????? Declaration that the development consent granted by Nambucca Shire Council on 21 August 2008 to development application DA 2004/136 for a subdivision at 346 East West Road Valla, is void. 2??????? The respondents (ie Council and Mr Joseph) are to pay 60 per cent of the applicant?s costs. 246?????? The orders will be as I have proposed unless by 4pm on 22 March 2010 a party delivers competing short minutes of proposed orders to me. The exhibits may be returned. 1????????? That Council note the outcome of the Class 4 action in the Land and Environment Court by the Nambucca Valley Conservation Association Inc in regard to Development Application 2004/136. 2????????? That Council note that on advice from its legal advisors competing short minutes were not submitted and no challenge was made to the ?Short Minutes of Order? lodged by the Second Respondent (Mr Joseph) that the First Respondent (Council) pay 60% of the applicant?s costs. 3????????? That Council process DA 2004/136 by advertising and notifying the amended community title rural-residential subdivision and addressing all the relevant matters, including consideration of any new and previous submissions, relevant matters for consideration under Section 79C of the EP&A Act, including Clause 13 of the NLEP 1995, before final determination of the application by Council. 4????????? That the applicant be advised that before Council can further consider DA 2004/136 an updated supplementary flora and fauna report is required for Council?s consideration. Such report shall address any new information not previously considered that may impact on threatened species, populations or ecological communities, or their habitats. The report should determine the significance of any such impact and if a Species Impact Statement (SIS) is required in accordance with the Threatened Species Conservation Act 1995. In accordance with the judgement handed down by Justice Biscoe no orders were made under 25B of the Land and Environment Court Act 1979. This essentially means that the development application is as it was on the date before Council granted development consent. As such, determination of the application is still pending. Given that the application is still outstanding it is considered that the only option for Council is address the issues raised in the judgement and make a final determination of the development application. Justice Biscoe provided his findings of the Nambucca Valley Conservation Association (NVCA) Class 4 action against Council in regard to its determination of DA 2004/136 for a rural residential subdivision (Lot 2 DP 548175, 346 East West Road Valla) on 18 March 2010. The judicial review is provided in some detail in the 74 page judgement of the key issues, a copy of which has been circulated for Council?s information. Whilst Justice Biscoe has declared the development consent void, the NVCA were unsuccessful in the environmental considerations. These matters were addressed by Justice Biscoe in paragraphs 126, 144 & 165, which are reproduced below. Taking all relevant factors into account, I am satisfied on the evidence that the development is not likely to significantly affect the EEC or its habitat. Accordingly, S78A(8)(b) did not require the development application to be accompanied by a species impact statement on account of the effect on the EEC or its habitat. Taking all relevant factors into account, I am satisfied that the development is not likely to significantly affect the koala or its habitat. Accordingly, S78A(8)(b) of the EPA Act did not require the development application to be accompanied by a species impact statement on account of the effect on the koala or its habitat. ?It would be anomalous if the Director could give conditional approval in the way that she did under the Koala SEPP but the Council could not do so in the same way on the same subject matter when granting development consent. In my view, the Council had power to impose such a condition under S80A(1)(a), (2) and (4) of the EPA Act. Justice Biscoe upheld grounds 3 and 5 relating to a failure to consider mandatory relevant considerations and failure to advertise the amended proposal. The Court identified in  that Council did not take into account mandatory provisions by not referring to Clause 13, despite Council arguing that the relevant matters were considered. The Court identified  that Council failed to consider issues raised in a submission by not specifically addressing those issues in the Council report, despite Council staff believing that the issues were addressed through the subsequent amendments to the proposal including a revised lot layout and reduction in the number of proposed lots. The Court identified in  that Council failed to advertise the final amendment that was subsequently approved by Council. Justice Biscoe in paragraphs [202 ? 238] provides the basis for his determination that the current advertising DCP should apply. However, in paragraph  Justice Biscoe determined that the previous Section 5A, with its eight part test, should apply. The judgement provided different interpretations in applying the provisions of the old and new DCPs relating to advertising, and the relationship between the old and subsequent legislation relating to Section 5A of the EP&A Act. This will direct future consideration by staff and Council. Of concern is the order that the respondents are required to pay 60% of applicant?s costs. However, Councils barrister has advised that in light of recent case law, the 60% figure is a fair result. Further, she advised that ?it was not worth the risk in submitting short minutes to this point, as it could result in His Honour imposing a higher cost figure?. The barrister advised that ?His Honour has not apportioned the Applicant?s costs between the two Respondents in order that they can agree on the apportionment between themselves.? However, before any agreement was reached the Second Respondent lodged ?Short Minutes of Order? that the First Respondent (Council) should pay the entire 60% of the Applicant?s costs. Council?s solicitors confirmed that Council is not well placed to contest the ?Short Minutes of Order? put in by the Second Respondent and therefore the General Manager and Mayor decided not to contest the submission. 1??????? It was not possible to avoid the outcome on the first component of Ground 3 (the ground on mandatory considerations). Clause 13 was not referred to in the report to Council. The Court requested clarification of the section of the LEP maps showing the zoning, in particular the way in which the black edged circled areas operated and the coverage of zones, and as the LEP applied to the site. Council had an obligation to the Court to provide that clarification. Since clause 13 applied and was not referred to in the report, the conclusion followed that s 79C(1)(a)(i) was not observed. 2??????? The other component of Ground 3 concerned the submissions. The problem for the Council was that some of the submissions were not annexed to the report. The Court apparently rejected the Council's submission that only the submissions made in response to the third amendment needed to be annexed. Biscoe J's approach at  -  to the presumption raised some real questions about Biscoe J's fact finding. There was no evidence to rebut the presumption in relation to what occurred before the meeting. To some extent Biscoe J reversed the presumption and required the Council to adduce evidence as to what councillors read before the meeting. However if all the submissions had been annexed to the report that was circulated to councillors, Biscoe J would probably have drawn an inference in favour of the Council. 3??????? As to Ground 5, Council's primary position, that DCP 2000 applied, was not accepted. Biscoe J does not address the Council's submission that the 2000 DCP continued to apply to applications lodged while the 2000 DCP was in force. There are no transitional provisions but literally the 2000 DCP applied. His Honour does not explain in  why the 2004 DCP applied to pending applications. Once he accepted that the 2004 DCP applied, Council was exposed to Biscoe J's tendency to require a council's opinion (here the opinion under reg 90(1)(b) that the amendments were minor) to be spelled out in writing rather than inferred. I think the inference at  -  that Council did not form the opinion is difficult to draw. However this is a factual finding by the Court. ?The development application (as amended) is likely still pending - that is, it is open to Council to determine the DA in the near future. Of course Council will need to cure all the defects outline in His Honour's judgment prior to consenting to the application should it be mindful to do so.? Having regard to the judicial review and Council?s legal advice, it is now open for Council to continue its consideration and final determination of the development application. However, Council?s solicitor has cautioned that a full and proper assessment of the application should be undertaken before Council makes its final determination. In this regard it is considered prudent to require the applicant to submit an updated supplementary flora and fauna report for Council?s consideration. Such report should address any new information not previously considered that may impact on threatened species, populations or ecological communities, or their habitats. The report should determine the significance of any such impact and if a Species Impact Statement (SIS) is required in accordance with the Threatened Species Conservation Act 1995. Council has incurred considerable costs associated with this court challenge which have an impact on General Fund. The Nambucca Shire Council Community Services Committee meetings which were held on 20 November 2009 and 9 February 2010 are attached for Council?s consideration. That on the motion of Paul Sekfy, seconded Denise Olsen, the Community Services Committee seeks the concurrence of Council to undertake a snapshot survey of community services sector, to establish the economic contribution to the Shire, noting that it would be at no cost to Council as the members themselves would be collecting and bringing forward the information. That on the motion of Angie Evans, seconded Suzanne Homes, as part of the process (in Recommendation 1) Council?s Manager Community and Cultural Services provide a snapshot of Community Services at Council. There are no recommendations to Council from the February 2010 meeting. 1????????? That Council concur with the Community Services Committee?s request to undertake a snapshot survey of the community services sector, to establish the economic contribution to the Shire, noting that it would be at no cost to Council as the members themselves would be collecting and bringing forward the information. 2????????? That Council?s Manager Community and Cultural Services provide a snapshot of Community Services at Council as a part of the Community Services Committee survey. 1????????? Endorse the minutes and their recommendations. 3????????? Note the minutes with amendments to the recommendations. The November minutes were not presented to Council before this point as there were a number of matters which required clarification and amendment by the Committee, and this occurred at the Committee?s 9 February meeting. The exact nature of the survey is yet to be developed by the Committee, however members have made it clear to Council that they do not require any resources to undertake it. Whether it is paper-based or electronic is still being discussed. In the 2006 Census of the 5,448 people responding that they were employed, 780 (14.3%) were listed as working in Health Care and Social Assistance. There were many others employed in Administration and Support Services (117), and Education and Training (497), who may also be involved in delivering a community service. The Council?s Community Services Committee is interested to know more detail about the sector it represents eg how many people does it employ, how much funding supports these services and what is their economic contribution to the local economy? The Committee hopes that this survey will provide answers to those questions. Nothing specific arising from this report. This report itself does not identify any specific economic implications, however the survey proposed by the Community Services Committee is aiming to quantify or explain the economic benefits to the local community of the community services sector. No impact on the budget identified as the Committee members themselves have undertaken to conduct the survey at no cost to Council. Cr Paula Flack (Chairperson), Cr Elaine South, Ms Kerrie Bowtell, Ms Suzanne Homes, Ms Gillian Howie, Ms Angie Evans, Ms Denise Olsen, Mr Paul Sekfy, Ms Colleen Henry, Ms Vicki Fernance, Ms Patricia Walker. Ms Coral Hutchinson, Ms Jenny Zirkler, Mr Ross Chalmers. RECOMMENDATION: That on the motion of Cr South, seconded Suzanne Homes the minutes from the previous meeting held 10 November 2009 be accepted with the amendments. ???????? Glenn Robinson and Glenys Munro were apologies for the meeting. ???????? Cr Flack has been Community Services chair for 5 years not 6. 1??????? That on the motion of Paul Sekfy, seconded Denise Olsen, the Community Services Committee seeks the concurrence of Council to undertake a snapshot survey of community services sector, to establish the economic contribution to the Shire, noting that it would be at no cost to Council as the members themselves would be collecting and bringing forward the information. Carried. 2??????? That on the motion of Angie Evans, seconded Suzanne Homes, as part of the process Council?s Manager Community and Cultural Services provide a snapshot of Community Services at Council. Carried. RECOMMENDATION: That on the motion of Paul Sekfy, seconded Denise Olsen the minutes from the previous meeting held Tuesday 8 September 2009 be accepted. Carried. Cr Flack advised Council had received no feedback and/or letter about the motor rail rumour. This item was put on the agenda in regards to a response to the proposal in the General Manager's report to disband the Community Services Committee. According to the report, there had been no recommendations coming from this committee and the CSC was not serving a function. Members agreed that the CSC is a committee that networks, provides a communication and a feedback tool to Council and also provides an opportunity to build better relationship with staff. It was viewed that Council was 'cash-strapped'. General member consensus is that Council considers community services is provided by outside organisations, but Council has a role of staying linked to community, and supplying support letters. Members thought that the CSC has a role to play. 1??????? That on the motion of Paul Sekfy, seconded Denise Olsen, the Community Services Committee seeks the concurrence of Council to undertake a snapshot survey of community services sector, to establish the economic contribution to the Shire, noting that it would be at no cost to Council as the members themselves would be collecting and bringing forward the information.? Carried. 2??????? That on the motion of Angie Evans, seconded Suzanne Homes, as part of the process (in Recommendation 1) Council?s Manager Community and Cultural Services provide a snapshot of Community Services at Council.? Carried. Colleen Henry has spent the last month implementing the strategy, has visited 13 pubs and clubs in the Shire, examined the exterior and interior environment to make women safer which will,? in turn, enable the community to be safer.? Crime Prevention Officer, NSW Police based in Port Macquarie is assisting with auditing. Project is voluntary but Ms Henry has put the economic spin on a social benefit. The launch of SWANS is Tuesday 17 November 2009. Cr Flack recommended that the activities of the Access Committee has relevancy to the CSC and to invite a representative for update on the committee's key activities and recommendations. Audit of buses ? contribute land and shed to community bus service, RSL and retirement villages have transport but are not 'sharing'. This is a duplication of services. Contact and invite Ross Chalmers and Jan Ryan for next meeting. Kerrie Bowtell had a request. With the youth mobile caf? underway and youth centre for Men's Shed, maybe organise some youth training? Form a partnership with SWANS project. Reconnect have huge shortage of accommodation, maybe train youth to kit out mobile caravans for mobile bedrooms.? Issues - paid teachers, consumable, ownership, site. Angie Evans reported that 4 local schools have received a $2.5m over 4 years for bilingual school. Paul advised that the next NVNC network meeting Tuesday 8 December 2009, 10 ? 12. will be re a legal service.? Guest speaker from Law Access for the next. Legal clinics are first Thursday Bowraville, third Thursday Macksville.? Suzanne ? military museum turn into drop-in centre for veterans. Nambucca Heads gym discount. Nambucca Heads Day Club ? new premises/member any ideas; 55 years and over, provide meals, transport. Gillian ? Australian government disaster recovery payment 180 233, get forms off website and drop into Centrelink with ID. Richard Townsend ? Recovery Centre. Cr Flack advised members that she will not be standing for Chair at the July AGM. She has done it for 6 years and it is time for a turn over. The next meeting will be held on Tuesday 9 February 2010 at 2.00 pm (tentative) at the Council Administration Centre. Ms Hutchinson declared a non-pecuniary less-significant interest in Item 3 ? Highway Bypass Social Impacts as she resides in the subject area at Warrell Creek. Ms Hutchinson chose to remain in the chamber but did not participate in the discussion. ??????????? Glenn Robinson and Glenys Munro were apologies for the meeting. ??????????? Cr Flack has been Community Services chair for 5 years not 6. There was considerable discussion on the Committee?s function which lead to discussion in regard to the industry in general. Community Services industry is an important local industry, however the Committee members felt that it was unnecessary to attempt to record the debate verbatim. Suffice to say that Council may not be aware of the size and economic importance of the local community services sector with some background comments for context. ??????????? The possibility of incorporating at least part of the corridor in the Pacific Highway upgrade. ??????????? The potential for rail motor service between Coramba and Bonville. ??????????? Nambucca Shire was not mentioned in the discussions but the author of the letter thought that viability could be improved by the inclusion of the Shire either by a rail extension or feeder buses. ??????????? The group has requested money from Coffs Harbour City Council to undertake a feasibility study, but no response has been received as yet. The Committee noted the response and decided that no further action would be taken. Discussion regarding ongoing transport issues. The Committee decided that the focus for the next agenda would be transport with key stakeholders to be invited. Ms Hutchinson declared a non-pecuniary less-significant interest in this item as she resides in the subject area. Ms Hutchinson chose to remain in the chamber but did not participate in the discussion. Cr South enquired what services are available to people under stress from the proposed highway by-pass. Paul Sekfy advised that a key contact point is the Nambucca Valley Neighbourhood Centre as there are a number of free services available locally. Also there may be legal avenues available to people who aren?t already receiving legal support. Cr Flack reported that a number of people are likely to be socially impacted due to the RTA?s approach to purchase of property and lack of compensation to loss of value eg due to noise. Suzanne advised that Veterans can also access free counselling via Centrelink. Angie Evans reported on the Building Revolution and the government?s ?de-scoping? ? schools being asked to modify their proposals and remove items to reduce cost. Spoke about My School website ? schools generally feeling negative about it as it only reports on 2 measures. ??????????? Women?s Way have been successful in receiving $6,000 grant from Ministry for Transport ? project includes assistance to women to attend breast screening at Coffs Harbour. ??????????? Still waiting on news about Community Builders application to look at possible reshape of the community sector in the Nambucca Shire. ??????????? Has been invited to participate in the formulation of the North Coast Homelessness Action Plan. ??????????? Report from NV Network meeting this morning ? a general concern about what strategies can be developed to address the disadvantage of being located between Coffs Harbour and Port Macquarie. ??????????? Jill Stowe reported that counselling is also available via Interrelate Coffs Harbour ? outreaches here. ??????????? NVCSC Inc have entered into a contract with Nambucca Heads Bowling Club and Meals on Wheels will be prepared from there from Monday. ??????????? No Interest Loans Scheme ? always seeking funds to operate this; are tendering for expansion money. The demand is high. ??????????? Are going to be tendering for more Community Aged Care Packages. ??????????? The DA for the Men?s Shed has been submitted to Council for a permanent location in Macksville. Steve Austen Acting CEO, provided an update report on changes at NVC. Recruiting for a new CEO is underway via a Sydney recruitment firm. Do have vacancies at Autumn Lodge at the moment. ??????????? Jenny is acting liaison with Nambucca and Bellingen. ??????????? Coffee Shop continues at Macksville ?a successful fund raising venture, getting new members. ??????????? Emergency Department - busiest January ever, now always have a doctor there. ??????????? Entering Stage 2 of converting X-Ray services to digital. Will be more streamlined and efficient. ??????????? Have 2.6 Aboriginal Health Workers located here now. ??????????? Cancer Resource Centre DA at Council at the moment. Will be a 2 stage development. ??????????? Jenny clarified the ?waiting list? which has been recently reported. Are meeting all targets. ??????????? Have a lot of students in various areas ? trying to build a centre for learning. Reported that Seniors Week will be at Bowraville Central School, Wednesday 24 March 2010, free transport with morning tea and lunch. Advised the Committee that Council has made an Expression of Interest for crime prevention for seniors for workshops around financial, personal and household security. Crime Prevention Plan ? is now a couple of years old, will be working on fleshing out the plan at a more practical level. Jenny Zirkler left at this point with the time being 3.14pm. ??????????? Library Links project has been a success and is drawing to a close. ??????????? Indigenous culture and the libraries ? Council?s Community Development Officer reviewing the indigenous collection at Macksville with aims of improving; also looking for ways to promote access by Aboriginal people. ??????????? Both libraries reviewing layout to provide improved areas for young people eg Junior area at Mks with study space. ??????????? Indigenous Elders and family photography exhibitions last year. ??????????? Youth Week art and literature exhibition proposed again for Mks in Youth Week. The next meeting will be held on Tuesday 20 April 2010 (subject to confirmation) at 2.00 pm at the Council Administrative Centre Princess Street Macksville. Note: Next meeting to discuss a meeting format for the remainder of the year and to focus on transport. There being no further business, the meeting was declared closed at 3.21 pm. Tenders closed on the 10 March 2010 for the construction of Additions to the Rural fire Service Lower North coast Control Centre.? Five conforming and one late tender were received.? The tenders were assessed in accordance with criteria provided in the specification.? Tables of results are contained in the attached Confidential Circularised document Tender Assessment T007/2010. The company with the best score through the evaluation system is Costa Builders. That Council accept the tender for the construction of additions to the Rural Fire Service Lower North Coast Control Centre at Kelly Close, Macksville of Costa Builders Pty Ltd for the tendered amount. The Rural Fire service has requested Council to arrange for additions to the existing Rural Fire Service Lower North Coast Control Centre premises in Kelly Close Macksville, referred to in the minutes of the Nambucca Emergency Operations Centre Committee dated the 4 November 2009 and adopted by Council on the 3 December 2009. The Engineering Services Department prepared Tender documents including drawings and specifications. The additional facilities include a purpose built Operations Room, offices for the Manager and Operations Officer, Radio and Telecommunications rooms and a courtyard adjacent to the existing lunchroom. The NSW Rural Fire Service has confirmed that $270,000.00 is available to cover the costs of the proposed works. ?????????????????? This was completed in 2009. ?????????????????? Plans agreed through the NEOC Committee. ?????????????????? Plans agreed to by the NEOC Committee, funding provided by Rural Fire Services and the subject of this tender. Stage 4?????? Modification of the State Emergency Services area to provide greater space for operations, training and administration. ?????????????????? Plans finalised.? Subject to funding in 2010/2011.? Council s draft budget includes a $40,000 budget with a $20,000 grant. A late submission was received from Graham Brown but was not considered for assessment. The confidential circularised document Tender Assessment T007/2010 contains a numerical evaluation of the tenders. The Rural Fire Service has been regularly consulted during the preparation of the plans and specifications as has the NEOC Committee. The Project will have no adverse environmental effects. A Review of Environmental factors is included in the Tender documents. The additions to the Rural Fire Service facilities will result in improved service to the community by the Rural Fire Service an a subsequent increase in bush fire protection. The project will be fully funded by the NSW Rural Fire Service and will resulting no financial burden on Nambucca Shire Council. The Council has budget allocation for maintenance of the RFS Control Centre. A minimal increase in this allocation would be required to cover additions to the facility . There is the risk that if the Rural Fire Service facilities are not improved that the service provided by this organisation would deteriorate and the community would not have an acceptable level of bush fire protection.? The upgrade may delay the need for a new dedicated Rural Fire Service building in the future. The project will be fully funded by the NSW Rural Fire Service and will require no further contribution by Nambucca Shire Council as Council?s contribution has been provided in previous budgets for the building works.? The Council has a budget allocation for maintenance of the Rural Fire Service Control Centre.? A minimal increase in this allocation would be required to cover additions to the facility. The funds available from the Rural Fire Service cover the price tendered by Costa Constructions and a 15% contingency allowance. The proposals for an amenity block at Anderson park have included four sites over the years.? A fully developed amenities at site 3 on the eastern side would cost $600,000 and is not achievable for many years. An acceptable alternative is to build a basic building on a level site near the sewer line.? This can be achieved for $90,000 and has been included in the draft 2010/2011 budget. 1??????? That Council note that $90,000 has been included in the draft 2010/2011 budget for consideration. 2??????? That the Valla Beach Urban and Hall Committee of Management be advised that Council has included $90,000 in the draft 2010/2011 budget for consideration. 2??????? Defer the project and consider in the new Recreation Contribution Plan to be developed in 2010 for the substantial amenities at site 3. The provision of an amenities for Anderson Park has a long history beginning with the choice of sites. The first proposed was to build a combination public toilet and park amenities on land acquired by Council on Max Graham Drive (see Site 1 on attached plan).? This land was sold and the profit of $38,500 set aside towards a future amenities building on the park. A master plan was developed for Anderson Park and that included an amenities block in the south-west corner (Site 2) because of the location of the sewer line.? The proposed building was similar to the one built at Farrington Playing Fields.? Over the years the housing became established adjacent to the proposed site and opposition arose to using that area for the amenities. Consultation with the community utilising the resources of the Valla Beach Urban and Hall Committee resulted in a new site being nominated (Site 3) on the eastern side off Kuta Avenue.? This site is away from housing but is on a steep bank.? The plans developed for this site included a single story building with an observation deck on the roof and later a two story structure with a club room on the top floor. At this stage Council sought funding from the Department of Sport and Recreation.? A grant of $9,000 was obtained but returned as the cost of the building and site works was some $540,000.? At that time the funds available included the $38,500 from the sale of land, $88,500 from Section 94 and the $9,000 grant leaving a $404,000 shortfall.? Council deferred the project. The next development was the review of the Contribution Plan for Public Reserves and Community Facilities in 2009.? The revised plan included a small number of significant projects that could be achieved within 12 months.? This included a new carpark at the Valla Beach Community Centre.? At the same time projects such as the Anderson Park amenities and playground equipment at the Community Centre were removed from the works schedule. This time the Valla Beach community are seeking a basic amenity building that allows regular organised sport to take place at Anderson Park.? This would require the selection of another location (Site 4) to minimise the cost of connection to services such as sewerage. This last site is adjacent to the sewer line with a small level area big enough for a basic building.? It is proposed to purchase a kit style building (plans attached that has a single male, single female and unisex disabled rooms. The only funding available is the original $38,500.? the $88,500 from Section 94 has been distributed to other projects including the Community Centre car park.? The shortfall is therefore $51,500. The draft budget from 2010/2011 includes the $90,000 to fund the amenities block on Site 4 with funding of $38,500 and $51,500 from reserve. If approved in the 2010/2011 budget the building can be ordered in July 2010.? The kit takes 12 weeks to fabricate and the on-site contribution is 3 weeks.? If all aspects proceed smoothly the amenities would be available mid November 2010. Anderson Park was developed as the sole sporting facility at Valla Beach.? The use has been limited because of the lack of amenities. Attracting people participating in sport to Valla Beach is likely to result in extra business for some premises. The construction of the amenities may not stimulate the use of Anderson Park. Nil on current budget.? Proposed for the 2010/2011 budget. Total cost is $90,000.? An amount of $38,500 has been set aside in a reserve towards this project.? The remaining $51,500 will have to be funded from reserve. Council is receiving reports of ground subsidence, erosion and overflows as a result of damage to the stormwater system from last years storms. These are considered more important than some of the scheduled projects so a proposal has been prepared to include the new works by deferring two of the projects in the budget to free up funding. 1??????? That Council defer the stormwater projects at Princess Street, Macksville and Hibiscus Drive, Valla Beach valued at $95,000. 2??????? That the projects of Scotts Head Reserve, Adam Street, Bowraville, Jones Street, Valla Beach and Mumbler Street, Nambucca Heads be included in the budget at a value of $93,000. Over the last few months damage to the stormwater system and new impacts on properties are being identified that relate to the storms last year. The remediation cannot be funded from the existing budget allocation so it is necessary to modify the project selection to free up funding. Pipelines has blocked with silt for a 20 metre section at the outlet.? It has to be removed and relaid. The stormwater discharges into bushland beyond the boundary of the property.? The outlet has developed a deep hole close to the property boundary.? The line requires extending, rip rap at the outlet and restoration. A section of interallotment drain constantly overflows because the capacity is too small.? A 115 metre section requires enlarging. Subsidence has occurred in Bank Street north of the Bowling Club.? Investigations show that large 1500 mm diameter pipes have separated.? Complete excavation and relaying is required. Other problem areas are yet to be costed.? They include large cavities under driveways, collapsed ground around outlets and the separation of pipes at the joints. It is recommended that items 1 and 4 be included at a cost of $92,000 to be funded by deferring the litter trap in Dawkins Lake, Princess Street, Macksville ($45,000) and the duplication of stormwater at Hibiscus Drive, Valla Beach ($50,000). The prices have been prepared by a private contractor.? It will be necessary to get a second quote on items 2 and 4. This damage is not eligible for under the Natural Disaster Declaration. The Jones Street site has the potential to scour out bushland. The identified sites have created concerns for private property damage to adjacent buildings. Failure to address the damaged stormwater could see increased costs occurring to the repair bill as well as to adjacent property. Not addressing the problems could lead to property damage including buildings.? There is a risk to personal safety at some sites. Currently a list of properties exist and some of these have not yet commenced.? Two projects valued at $95,000 are recommended for deferral to allow from projects to come forward at $93,000. Existing funds utilised by charging the projects. The minutes of the last meeting of the Mid North Weight of Loads Group on the 1 March 2010 is presented for Council?s information. The next meeting will be held at Tamworth on 1 November 2010. 1??????? That Council note the minutes of the Mid North Weight of Loads Group on 1 March 2010. 2??????? That Council confirm its membership of the Mid North Weight of Loads Group for a further twelve months ending the 30 June 2011 with membership renewal to be reviewable again prior to that date and enter into Agreements with Gloucester Shire Council to provide administration for the Group and individual Inspectors to authorise them to operate in the Local Government area of Nambucca Shire Council and that Council authorise the signature of these Agreements and the affixing of the seal as required. The last meeting of the Mid North Weight of Loads Group was held on the 1 March 2010 at Macksville. Council?s delegates are Cr Finlayson and myself. The minutes have been received and are attached. The meeting set the Council contributions for 2010/2011.? 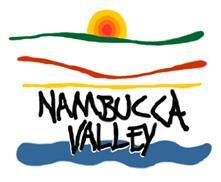 Nambucca rate is $12,416 which represents a 3.88% increase. Council?s membership of the group ends on 30 June 2010.? Nambucca Shire Council rejoined 12 months ago on a trial basis. There were 7 breaches of overloaded trucks in the Nambucca Local Government Area up to January 2010 (6 months).? The products included soil, logs, sand, cattle and rock.? The trucks were travelling to Kempsey, Macksville, Valla, Nambucca Heads and Frederickton.? The largest overloaded was 11.6% above legal load limits.? It is widely accepted that a 10% overload causes 45% increase in road damage and reduces the pavement life by 32% (see attached). Nambucca Shire Council is one of 17 adjoining Councils that act as a single alliance in the enforcement of detecting and breaching overloaded heavy vehicles on load roads to reduce road maintenance costs. A heavy vehicle is more efficient when operated at legal loads. The community expect that some controls be exercised over heavy vehicle operations. Weight of Loads Group exists to minimise the damage to road infrastructure by overloaded heavy vehicles. There will always be a minimum level of overloading.